Remittances are an essential tool for development. For numerous developing countries, they are the main source of inward investment, foreign exchanges and they contribute positively to the balance of payments.-Further, they play a key role in enabling the poorest of the poor not only to survive but also to access education and start businesses. Unlike other types of investments, they go directly to those that they target and avoid the huge transaction costs fostered by corruption or unnecessary/imposed intermediaries (the new common form of corruption). Remittances are also important in the development of micro-finance. Remittances can be the proof of regular income needed to obtain micro-finance facilities aimed at starting a business. In the realm of remittances, the only weak link – where abuses and corruptive practices can snake in – lie in the transfer process used to send the money from country A to country B. Remittances organizations or Money Transfer Operators need to be able to deliver moneys to the designated beneficiary. However, in some countries governments have restricted the number of local delivery points or licences to remitting entities. Licences have to be obtained and multiple intermediaries paid off. This in turn allows only a few players into the market who can, then, take advantage of the situation. Not unlike micro-finance, once a useful, positive and efficient tool of development, remittances have slowly been diverted into the pockets of those who need the least but who control the flow. Money Tranfer Operators : “the anatomy” of a predator! WU are one of the main Money Transfer Operators. They are neither the only one on the world remittance market, nor do they charge the highest remittance fees. Banks are worse!. This is what happened to Josh, a Kenyan student, who lives in the Netherlands, when he decided to help his family in Kenya and let them have some hard-earned cash. The sum he sent them was drastically reduced by Western Union, the well-known Money Transfer Operator (MTO), as they charged their exorbitant 20 percent transfer fee on the remittance. Imagine trying to send your hard earned taxed money to desperate family members and having to pay a 20 percent charge on the transfer of such money. It is cheaper to send goods by boat half way around the world! This scenario is repeated over and over again throughout the world when remittances are made every day by hard-working migrants who have managed to save up some cash to send to their families. Remittances to developing countries are by no means a new phenomenon but their flows have become more significant over the past 10 years. This constitutes a very ‘juicy’ market for Money Transfer Operators as it is estimated that 44.3 billion Dollars have been paid in transfer fees last year in the world. This is excluding the profits made by the Money Transfer Operators on the exchange rates – MTOs make billions on the arbitrage that they can operate when changing the money from one currency to another and giving disadvantageous rates to their customers. 44.3 billion dollars in remittances represent an average of 14 percent of the 316 billion dollars in worldwide annual remittances. In some cases these fees can represent more than 45 percent of the remittance. We are not talking about loans here or credit card interests. We are merely talking about the price of money “transfers” in the digital age, which basically means order routing. WU are far from being the worst of course. In the world of predators, WU are not the most lethal. Banks are, by far, the most abusive in their practices and in fact WU have made a place for themselves in the money transfer business because of the banks’ greediness. Following a report published by Acorn (see Acroninternational.org), it is banks, depending on the country of origin and that of destination, which charge the unbelievable 45 percent on remittances! In the report published in 2009 by the UN’s rural poverty agency, the International Fund for Agricultural Development (IFAD), Africa is the destination for an estimated $40 billion in remittances made by migrants to their families and communities back home every year. IFAD also indicates that “…remittances far exceed official development assistance and for many countries they exceed foreign direct investment as well”. This is confirmed in a 2007 Eurostat report which states that remittance growth outpaced private capital flows and official development aid over the last decade. It is obvious that these remittances not only boost the economic health of the country but also play a vital part in the recipient families’ life especially at a time of worldwide financial crisis. As and when remittance flows to developing countries became more significant and quantified ($316 billion in 2009 according to the Economist from an estimated $69 billion in 1990 and $132 billion in 2000), they caught the attention of the media and that of both public and private financial and economic actors. This led to greater competition, the use of new technologies and consequently lower transfer costs. However, this did not happen in Africa where two giant Money Transfer Operators: Western Union and MoneyGram maintain a strong hold on the market. This results in high transfer fees with huge variations from one sender country to another. For most of Africa, remittances from abroad to Africa are subjected to an average transfer fee of 12 percent. For remittances within Africa, the average is around 19 percent of the amount sent! This is not the case of Asia, for instance, where costs may vary but seem as a whole far lower than those practised in Africa. According to IFAD, in Central Asia one can even find the lowest remittance costs in the world: 3% per transaction. Although Western Union are present on this market, they have a lesser impact because of the fierce competition they have to face – quoting the Economist on the subject of remittances: “the more competition, the lower the cost”! New technologies like mobile phone transfers and transfer cards also play an important part in reducing the costs. Migrants must rely on MTOs if they want their money to reach its destination. There are about 100 MTOs present in Africa and they constitute 90% of all Remittance Service Providers (RSPs). How does it come then that out such a number, only two MTOs, Western Union and MoneyGram, dominate the African market controlling over 65 percent of it and assuming the right to overcharge on remittances? Several factors are to be taken into consideration. First, WU have a policy of locking-in their RSPs. The payout points, these offices scattered throughout the country which enable people to collect the transferred money, represent an important cost of the business. In Africa, there is a limited number of payout points: 16000 scattered over a vast territory (20% of the total land area) for 1 billion people! This is certainly due to the fact that in most of Africa (80% of African countries according to IFAD) regulations limit the number of financial institutions which can pay remittances to virtually just one: Banks!. As stated by IFAD: “41% of payments and 65% of all payout locations are serviced by Banks in partnership with Western Union and Moneygram”. Why are we back to our two main contestants? Western Union and MoneyGram were pioneers in the field of remittance transfers and they initiated policies which imposed the signing of exclusivity agreements with all their agents or payout points: mainly Banks and to a lesser extent: foreign exchange bureaus and post offices. Second, their size and worldwide reputation make them very attractive to African bankers who assume wrongly that they are the only MTOs on the market and do not hesitate to sign these exclusivity agreements for ‘guaranteed volume’. Once the agreement signed, these institutions are ‘prisoners’ of the deal. They no longer have the freedom to choose other partners and it follows that they become less competitive. Another consequence is that people living in the area where these institutions operate face higher costs. Even post offices, which could play an important role as Remittance Service Providers in Africa (especially in North Africa) because of their strong presence in rural areas, have become prey to Western Union as out of the 20% of post offices acting as RSPs (apart from Algeria)36% are their agents and already restricted by exclusivity agreements. Post-offices are victims of their own monopoly situation. Having a monopoly in the provision of certain services (such as mail delivery), has made them by and large economically “lazy” and instead of trying to find new businesses or services that could enhance their activities they have concentrated on the services directly related to their monopoly. Unthreatened by competition, they had no incentive to be pro-active. Post-offices, with their thousands of offices, were in a unique position to enter the remittance market. Today, as their own monopolies are eroded by new regulations, they are becoming more active in the remittances market. But they have lost valuable time and the poor have suffered. For the transfer market in Africa to take a new turn and stop Western Union from occupying a dominant position, there is no other way than getting rid of these exclusivity agreements (a number of countries have already done it) which bar the way to progress and to reform regulations. These two measures – among others – are essential so that more players such as post offices and microfinance institutions are permitted to enter the market, thus creating more payment points in rural areas and a healthier level of competition at the same time leading to technological innovations and reduced transfer costs. To implement these measures will take time and time is not what these African populations have in their struggle for survival. It is vital that they should receive a better share of the remittances and to do so MTOs should agree to charge more reasonable rates. Could we even possibly expect them to follow the World Bank’s recommendations (already applied in 3 African countries with 2 sender countries: the US and South Africa) and only charge 5% of the amount sent or is it just wishful thinking on our part? and most probably for tax relief purposes. that this generosity is strictly controlled. Gold herself says: “we do a lot of vetting” and apply the same criteria as those they would use for commercial partnerships before they give to nonprofit organizations. Therefore, they will only donate to the most deserving “in their eyes”. that they do not give anything personal, nothing of their own money. In this article nothing seems to indicate that Ms Gold is giving to charities out of her own huge personal fortune either or did we miss part of the article? Another point to bear in mind is that WU and Ms Gold will get all the credit for their donations to the poor. WU’s foundation “gives money to nonprofits in Mexico to spur job-creation and to disaster-relief efforts worldwide” while they are at the same time feeding off the poor in Africa and depriving them from their rights to a decent way of life. It is these people who should get all the credit because a huge part of their income finances WU’s charitable actions: it is more a case of the poor giving to the poor! Besides, such operations entail heavy transaction costs. This is another waste of useful funds which could be avoided if the money was not taken from vulnerable populations in the first place. How did companies like Western Union, pioneers in person to person remittances, who initially rendered real services to the world by facilitating money transfers to the poor, become predators? Greed is the first answer that comes to mind. The lock-in tactics, salaries of WU management, huge profits made by WU (off the poor!) and the percentage taken on remittance all indicate that greed is at the core of WU’s business philosophy. WU are in the business of servicing the poor. As such they are not in any type of industry. WU do not sell computers or planes. They enable the people from the poorest areas of the world to obtain money from friends and family in order to feed themselves. WU have an ethical duty not to abuse their position. In some of the poorest countries the average wage is 20 dollars per month. When WU take 20% off a 20 dollars’ remittance, they contribute to poverty. The remittance cost WU take away means that the recipient has lost FOUR dollars representing FOUR days of the monthly average wage. Obviously 16 dollars is better than nothing and WU facilitate the receipt of the 16 dollars. But still if competition existed in the market, through the elimination of lock-in agreements, a person would receive between 18 and 19 dollars instead of 16. That is an important difference. ONE and a HALF day is better than FOUR. With micro-finance companies charging up to 40 percent per annum on loans (and making huge profits) and MTOs charging up to 45 percent just to send already earned money, the poor are just getting poorer with fewer options and opportunities and the money handling organisations richer. In 2008, the French immigration Minister, Brice Hortefeux, made the excellent suggestion that an International Remittance Bank should be created. This would enable cheap transfers and facilitate development aid as remittances could be coupled with EU development aid programmes. This is a very progressive suggestion. However, for this to work huge investments would have to be committed, even if such institution were to benefit from banking and postal networks worldwide. Further, the refusal by banks to hold diplomatic accounts shows how difficult cooperation can be with big financial institutions. This augurs ill for the implementation of such a plan… unless, of course, banks are finally reined in! More practically, funding of new technologies and non-profit organizations that aim at facilitating international money transfers could foster much needed alternatives in the market. Coupling remittances with aid programmes and even micro-finance would save on transaction costs and facilitate direct access to capital to those who actually need it. Micro-finance institutions could be tempted in the future to develop remittance services as they develop networks and local points of contact both in countries of origin and reception of remittances. Regulations in both countries of origin and reception of remittances should recognize that MTOs are no charities and that their interest lies only in the amount of money they can cream off the remittance and that, if they could, they would cream off 100 percent! Recognizing this, regulators should place checks and balances aimed at increasing competition and limiting –artificially if needed- the importance of remittance fees to what is reasonable considering that MTOs should make a profit and the poor should receive as much as possible. MTO profits have reached the “GREED” level and actions should be taken. Exclusivity agreements should be recognized as anti-competitive. From a cost perspective, with the numerous technological leaps which have occurred in the last few years, fees should have decreased and not increased. Further, the initial investments made in setting up remittance networks have long being amortized adding to the argument that fees should decrease. Recognizing that businesses thrive because of the profits they can make but that unbridled profits have negative impacts on societies, especially in activities where those already vulnerable are taken advantage of, one could also envisage the creation of a new breed of companies: Ethical companies (sociétés à responsabilité éthique). These companies would benefit from important tax breaks provided they make a reasonable profit. There would be a strong disincentive to go beyond a certain level of profits. The taxation on profit would apply similarly to compensation given to those managing such companies. Finally, one should bear in mind that today a remittance is nothing more than a computer line sent over order routing networks. 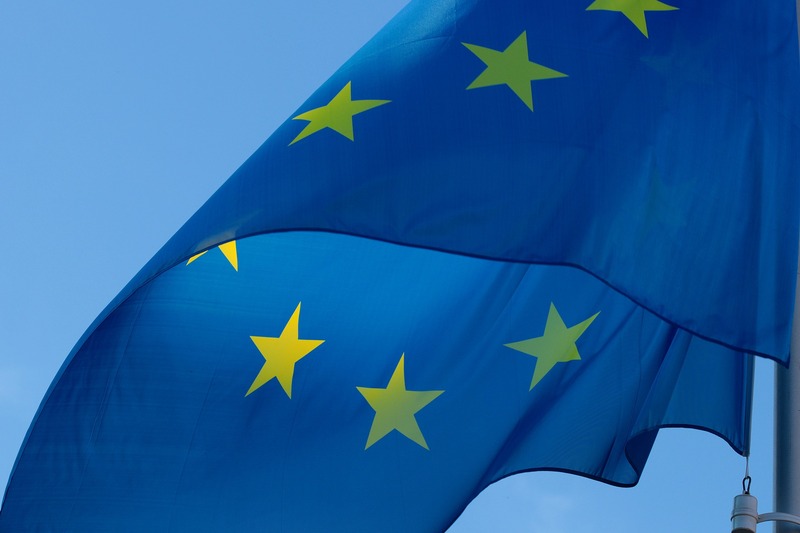 The European Commission has recently defined general policy goals that confirm the above. Monitoring migration regulations in the EU to make sure they do not contain provisions which could negatively impact on the globally agreed objective of reducing remittances costs, either directly or through measures of equivalent effect. Supporting actions aiming to lower remittances costs and to develop the capacities of third countries to better channel those financial flows towards productive investments. In times of economic crisis, migrant workers are the hardest hit. They risk losing their jobs first and their families back home are ever more pressing for money. It is unreasonable for WU to benefit from this situation. European Commission (2005): Migration and Development: Some concrete orientations, Communication from the Commission to the Council, the European Parliament, the European Economic and Social Committee and the Committee of the Regions, COM(2005) 390 final. European Commission Staff Working Document of April 21, 2010 on Policy Coherence for Development Work Programme 2010-2013, SEC (2010) 421 final. IMF (1993): Balance of Payments Manual, fifth edition, International Monetary Fund, 1993. Reinke, J. (2006): Remittances in the Balance of Payments Framework: Current Problems and Forthcoming Improvements, Conference of the International Association for Official Statistics, 6-8 September 2006, Ottawa. The Wall Street Journal, What Can Individual Donors Learn From Corporate Philanthropy ?, February 25, 2009. United Nations (2006): Definitions of Remittances, Nineteenth Meeting of the IMF Committee on Balance of Payments Statistics, BOPCOM-06/04, 23–26 October 2006, Frankfurt. World Bank: Global Economic Prospects, Economic Implications of Remittances and Migration. Washington DC, 2006. World Bank: Migration and Development Brief 2, Development Prospects Group, Migration and Remittances Team, World Bank, Washington DC, 2006.